I have a vision of Peace on Earth. Through my experiences and travels, I have come to recognize that people everywhere share that same vision. My goal is to strengthen this vision by sharing the beauty of all cultures and people, celebrating our amazing diversity, and all our incredible similarities of the heart. We truly are One Family! We are all inextricably interconnected. None of us can flourish or even survive until we begin to live our lives with this awareness. It really is as simple as that. The One Family collection is a reminder of all that we can appreciate in people everywhere. My intention is to convey the beauty, the sweetness and the tremendous gift that this family offers us when we embrace rather the persist in the illusion of separation and continue to prolong suffering by turning a blind eye. These images are spontaneous vignettes of people I encounter through out my journeys. Nothing was staged. The joy, the connection and that delicious moment of recognition between two people is authentically captured. 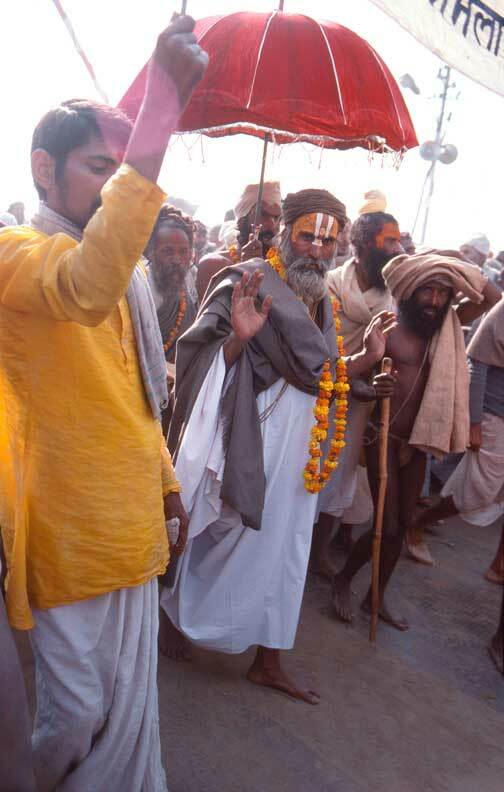 The Khumba Mela Sadhu’s blessing has been reserved - just for you. May we be nourished and blessed by the beautiful, radiant, and joyful family we are all a part of. In return, let us bless all those we encounter. Then our life will blossom, as the gift it is.